Good dental health is known to improve your overall health and contribute to a higher quality of life. 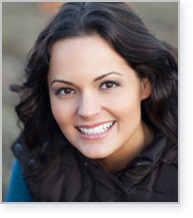 When it comes to your smile, it is much easier to prevent deterioration and damage than to repair it. Because we specialize in cosmetic dentistry procedures that help patients restore and enhance their smiles, we understand that general dentistry plays a key part in maintaining beautiful and healthy teeth. While daily flossing and brushing are a critical part of sustaining your dental health, regular dental visits ensure that your teeth and gums stay healthy and strong. As part of our commitment to dental health, we provide expert general dentistry services such as teeth cleanings and preventative care to help patients avoid gum disease, tooth decay, and other damage. If tooth damage or decay has already occurred, we are here to support you in reclaiming your dental health. Whether you need a tooth extraction, a filling, or a root canal, we are experienced in restorative and general dentistry techniques. If you don't like your smile or experience pain from severe tooth damage, you are not alone. Many patients come in needing larger restorative and cosmetic treatments such as dental implants, dentures, or dental crowns. Our patients frequently comment that our cosmetic and general dentistry practice is unique in its patient-focused, personalized care. We treat the whole patient, instead of just the tooth. Recognizing that many people have had negative dental experiences in their past, we strive to do all we can to make your experience in our care a positive one. If the hustle and rushed pace of the average dental office makes you feel nervous or uneasy, you will find a peaceful, calming atmosphere at Gentle Dentistry in Mt Vernon WA just south of Burlington. We take as much time as needed to listen to each patient's concerns and expectations. As dental professionals, we explain procedures and treatment options, and then leave the final choice to you. For patients who struggle with dental fear or anxiety, we provide oral sedation dentistry options for increased relaxation and comfort. Both Dr. Howard Mizuta and Dr. Eunice Kim are each a qualified sedation dentist and specialize in helping each patient feel at ease and comfortable in the dentist chair. You can come to them with any concerns or questions and they will be happy to help. For more information on how general dentistry can enhance your dental health, call our Gentle Dentistry office today or fill out the simple form on this page to schedule an initial consultation.